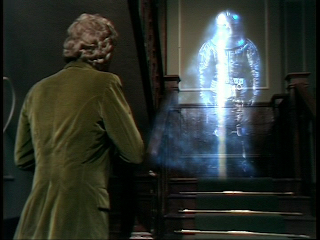 Wonderings in the Fourth Dimension: 70: The Time Warrior - Sarah Jane, Sontarans and Gallifrey! Oh My! 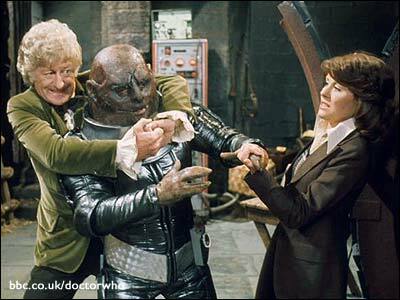 70: The Time Warrior - Sarah Jane, Sontarans and Gallifrey! Oh My! Companions: The Doctor, Sarah Jane Smith, the Brigadier. Brief Synopsis: In the Thirteenth Century a Sontaran is stealing scientists to repair is crashed spaceship. "A straight line may be the shortest distance between two points, but it is by no means the most interesting." This story's got a lot to say for itself: we've got a new set of titles (which just happens to be my favourite), a new companion, a new recurring alien race, a fantastic sci-fi/historical plot and we finally learn the name of the Doctor's home planet, all in all it's a cracking start to Pertwee's last season. I'm just sad it's nearly all over for my favourite Doctor. My favourite Who titles sequence. We should start with Sarah Jane Smith, the new companion; she's a real evolution from Jo Grant. Sarah Jane's character was envisaged to be someone to have a positive effect on the story. Where Jo might scream, Sarah would investigate. Where Jo would agree, Sarah might question. Where Jo might need rescuing, Sarah could come to the rescue. 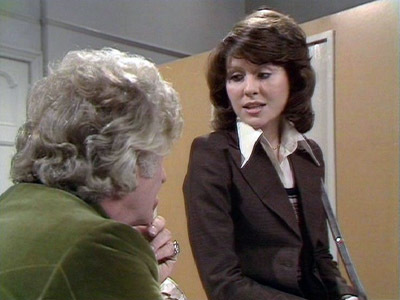 It took time for Jo Grant's character to find her way and grow up and by her departure she had certainly come a long way but Elisabeth Sladen as Sarah is excellent from the get go. Sure the stuff about being a journalist seems a little obvious, and caricature, but we soon bypass that and get to the heart of Sarah: she's a curious, strong, independent and resourceful woman. Elisabeth Sladen as Sarah Jane Smith. We've got a new villainous race on our hands too; well one of them at least. 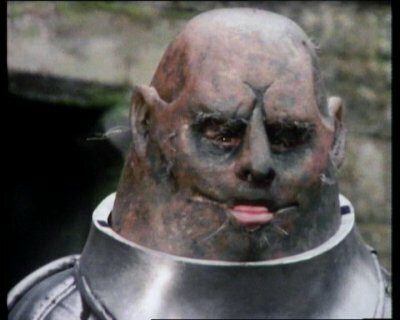 Linx is a Sontaran. A war loving clone-race of potato-head looking soldiers with hatchings of 1 million cadets at each muster parade. 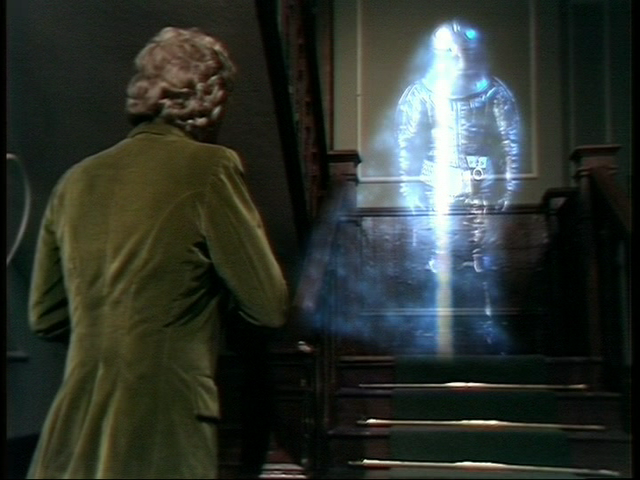 Who knew back in 1973 that they would become a recurring adversary of the Doctor, and one would even almost make it to companion status. 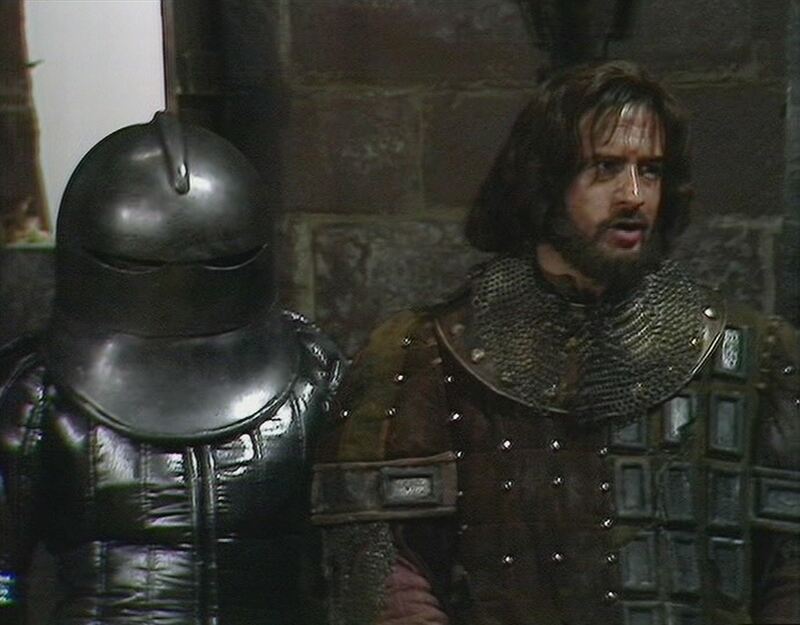 We also get a mention of the millenia long war between the Sontarans and the Rutans, who would eventually appear in 1977 opposite Tom Baker's Doctor. 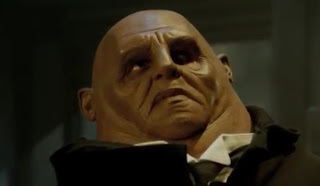 Strax, the Doctor's Sontaran Butler/Nurse. 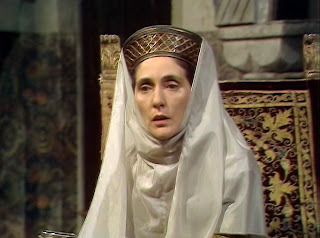 There's also an impressive assembled cast on hand, with David Daker as Irongron, Eastenders' June Brown as Lady Eleanor the returning Alan Rowe as Edward of Wessex, and Boba Fett himself Jeremy Bulloch as Hal the archer. David Daker wasn't the first choice to play Irongron, but was suggested by Bob Hoskins when he turned down the role. I have a personal connection to this story too. 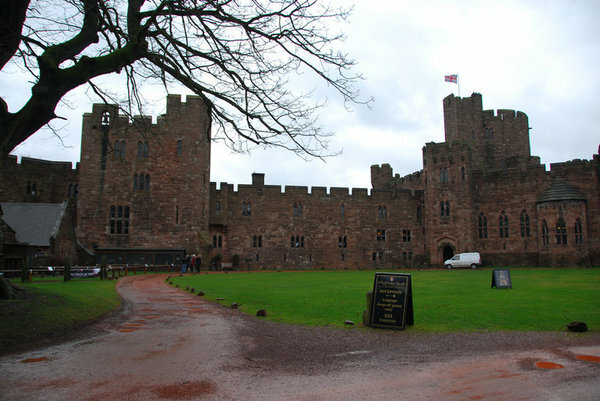 In one of my many performing jobs I once worked as a singing waiter, and did a wedding at a certain Peckforton Castle, in Cheshire which was used as the principal location for The Time Warrior filling in for both Wessex and Irongron's castles. and a rather unfortunate wedding. And we learn the name of the Doctor's home planet: Gallifrey, although, in the script, it was originally Galfrey. The Time Warrior also marks the first story to use "Parts" instead of "Episodes" to name each installment. June Brown as Lady Elanor. 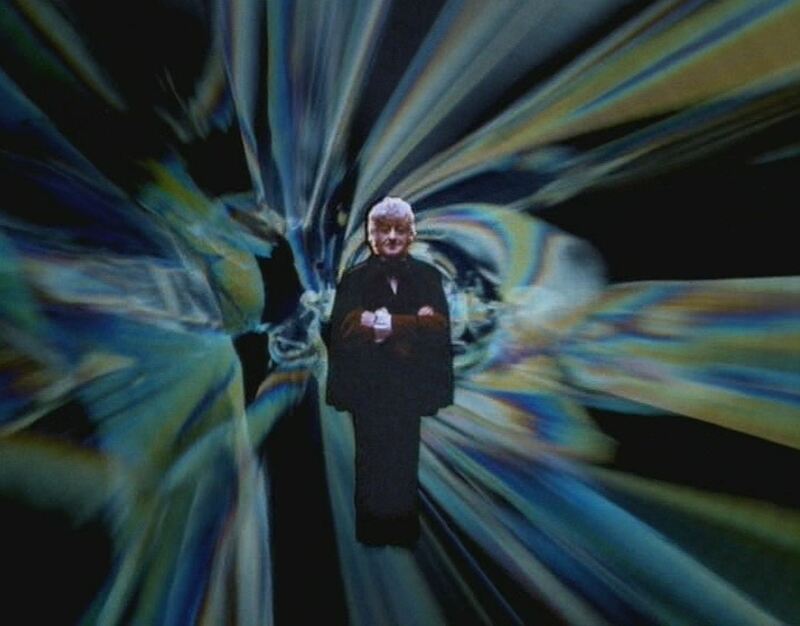 The Time Warrior is a fantastic example of Doctor Who at it's finest. It's a cracking historical meets sci-fi story, where an alien crashlands and gives modern weapons to a tyrant from the middle ages. Robert Holmes does a great job with the story and script, Elisabeth Sladen is instantly loveable as Sarah Jane, Jon Pertwee is on particularly good form, the characters are believable and three dimensional and the guest cast is top notch; this one will always be a classic in my eyes. Join me next time for one of my all time favourite stories, The Invasion Of The Dinosaurs.